October home sales rose a weak 1.4 percent, according to the latest survey by the National Association of Realtors. That adds up to a seasonally adjusted rate of 4.97 million existing home sales, far below the 6 million level that experts say forms the basis of a healthy housing market. The good news is that the number of existing home sales is up slightly over last year, but 2010 was the worst in 13 years for home sales. 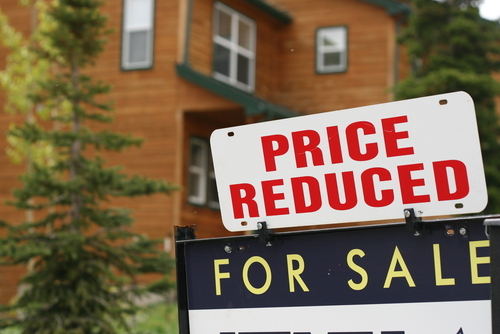 Worse, home prices haven't really be increasing. In fact, the latest numbers, courtesy of Zillow, suggest that while we haven't hit our lowest point yet, we may be on our way. Zillow's number crunchers released the company's third quarter Real Estate Market Reports earlier this week. The data surveys the nation, including 157 major metropolitan areas, in an effort to take the temperature of the country's real estate health. And while I'll stop short of throwing a parade, there are some encouraging trends to be found in the latest report. We are still trending downward, with Zillow reporting an overall 0.2 percent decline in prices between the second and third quarters of 2011. While any decrease means ongoing pain for borrowers and owners alike, that's an improvement over the 12 percent in lost equity experienced between 2008 and 2009. The new numbers indicate a 4 percent year-over-year drop, which is still enough to make everyone nervous. According to Zillow, "Chief Economist Dr. Stan Humphries continues to predict a true bottom in home values in 2012 at the earliest, with negative equity and unemployment the two biggest factors preventing the market from stabilizing." Lower rates of foreclosure liquidation -- Simply put, less homes are being lost to the banks. Is that because people are no longer under duress, or because the market is already flooded? That remains to be determined. The worst of the worst have gained (in some cases) -- Many mid-size cities in Michigan were absolutely gobsmacked by the collapse of the housing market, compounded by huge upsurges in unemployment rates. But according to Zillow, hard hit areas like Detroit, Grand Rapids and Ann Arbor have all enjoyed at least two quarters of average home value increases. We may be adjusting our expectations -- The truth is that we may be learning to cope with less. Dr. Stan Humphries observed that "given the steady drumbeat of recent negative economic news, home values held up better than would be expected." Still it's hard to get excited about conditions in which existing home owners continue to get swallowed by negative equity. Zillow's experts reported that 28.6 percent of third quarter single-family homeowners held mortgage loans that technically placed them underwater. This is a rise of nearly 2 percent compared to the 26.8 percent figure identified in the second quarter. While the news may not be all bad, Humphries and I are in complete agreement on the general outlook. He said, "We're clearly dealing with a crisis of confidence that is keeping potential buyers on the sidelines, fueled largely by high unemployment and more general economic uncertainty."